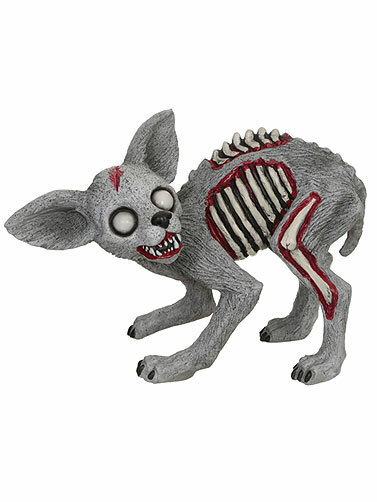 Zombie Terrier Dog Statue will bring the terror to your home décor. This zombie dog statue is no cute pup with the white eyes, exposed bones, torn fur, and a snarling face. Decorated on all sides and crafted from all-weather resin making it safe for outdoor display. Heavy item weighing almost 3 pounds, keeping it grounded. Makes a great gift for the dog lover in your life. Zombie Terrier Dog Statue measures 11"H x 9"W.